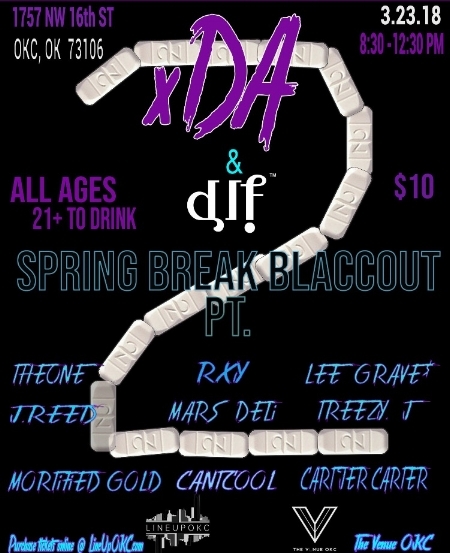 xDA & DLF Present Spring Break Blaccout pt. 2 at The Venue OKC on March 23rd. Performances from some of Oklahomas best local hip-hop artists. xDA had spring break blaccout last year, but they want pt.2 to be TWICE as LIT. This show is definitely one you do NOT want to miss..